Tools of the Trade Cutlery Sets As Low As $19.99! Down From $70! You are here: Home / Great Deals / Tools of the Trade Cutlery Sets As Low As $19.99! Down From $70! Macy’s has this Tools of the Trade 15 Piece Cutlery Set on sale for $19.99 (Reg. 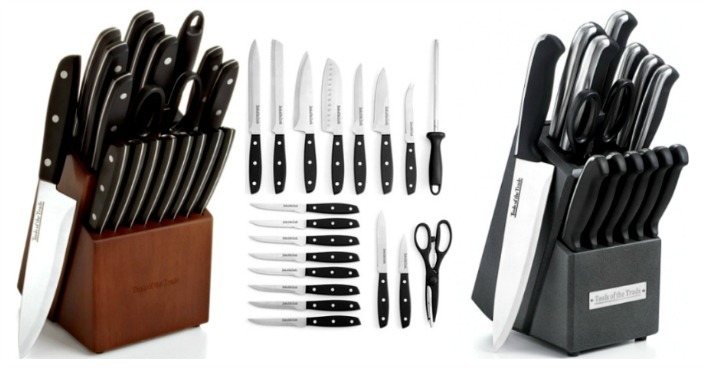 $70) and Tools of the Trade Cutlery Set on sale for $29.99 (Reg. $84)! This is a great time to get a new cutlery set! Thanks & Photo Credit, Hip2Save!